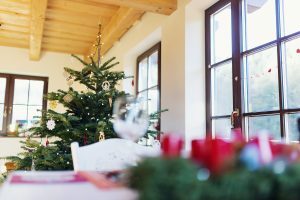 Caring for a Live Christmas Tree – Ekana Nursery & Landscaping, Inc.
Every year, thousands of Christmas trees are discarded at the end of the season and sent to landfills. Live Christmas trees are purchased live and stay alive throughout Christmas. When you’re finished, the trees are replanted to grow into the tree they were meant to be. e but taking care of it isn’t as simple as watering it like you would a tree you cut down. If you want the tree to live through the season, then treat it carefully and properly. Purchasing a live tree requires a certain amount of forethought. You’re buying a small tree, but it will grow. You need to know how tall and wide it will grow, so you can find a proper space on your property. The tree should also grow well in your area. The nursery you purchase the tree from can tell you the proper growing conditions. When you buy an artificial tree or a cut-down tree, you can go strictly by looks. With a live tree, there are more things to take into consideration. Make sure the trees are fresh and healthy. Run your hands across a few branches to make sure needles don’t fall. The roots should be moist, and the tree shouldn’t be bound by the container. Don’t just grab the tree from the nursery and put it inside. It needs to acclimate to the different temperature. It’s going from winter temps to a warm house. Take it home and place in an unheated garage or shed for a few days. It’s warmer than outside, but not as hot as indoors. Placing it in a shelter also keeps it safe from wind and too much sun. It should stay there for as long as possible. The less time inside the home, the better chance for survival. Ideally, bring it in just a few days before Christmas, but we understand if people don’t want to wait that long. The most important part of keeping your tree healthy is keeping it hydrated. Water the roots to keep them moist. You can apply anti-desiccant sprays to maintain hydration. Once the tree is inside the home, keep it away from vents and other sources of heat as this can also dry out the tree. The root may be wrapped in burlap. If so, place it into a tub and add mulch to the burlap for moisture retention. Remove the tree from the home and back into the garage or covered area for about a week to get it acclimated to the colder weather. Plant it in the area you pre-selected. It’s possible the ground could be frozen, so try to prepare the area early so it’s not like shoveling concrete. The hole should be twice as big as the root ball, but only as deep as the root ball. Backfill the hole with original soil and planting is done. Keep it moist until spring. If you’re interested in a live tree or have more questions, please contact Ekana Nursery and Landscaping today.